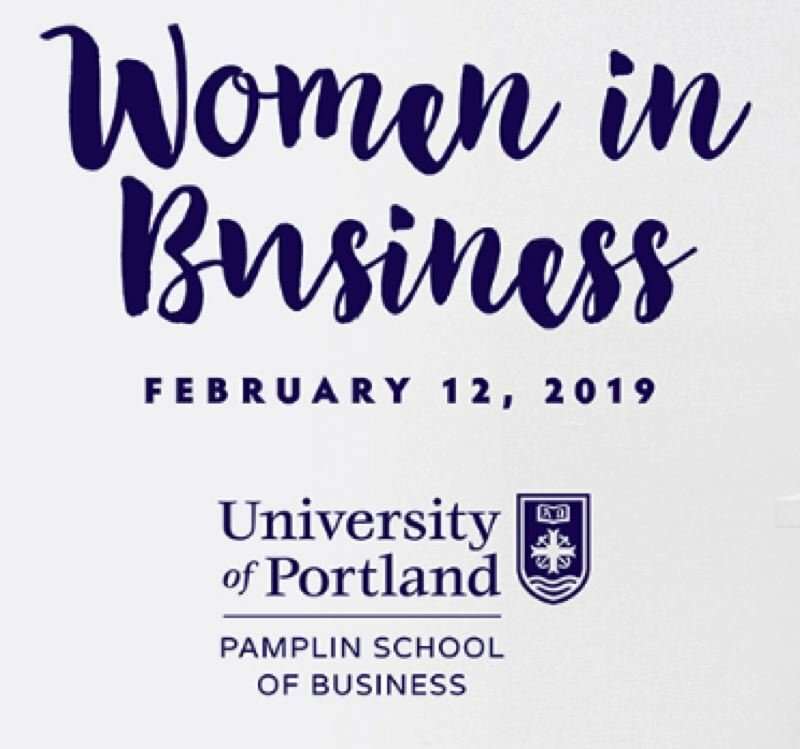 University of Portland's Pamplin School of Business Education Series is pleased to announce the kick-off of its Women in Business Showcase. The showcase will include a question-and-answer session with the panelists and a pre-event networking reception with hors d'oeuvres and wine from Pamplin Family Winery, along with a vendor display. "We are thrilled to introduce Women in Business to the Portland business community," said Robin Anderson, Dean of the Pamplin School. "We collaborate with many impactful leaders, including our very own Pamplin alumni. We wanted to offer a forum to highlight their successes. We look forward to bringing together professionals of all levels at this event." The C-Executive Panel includes: Paula Hayes, CEO Hue Noir Cosmetics; Nikki Kobliha, CFO PacifiCorp; Katherine Phillips Durham, Principal KMD Consulting, former CMO/VP, The Standard and HP; and Carey Wendle, OMP KPMG Portland. The showcase will be held on Tuesday, Feb. 12 at the Portland Art Museum. Event will include wine provided by Pamplin Family Winery, hors d'oeuvres, networking reception, executive panel and Q&A with audience. General Admission tickets for Women in Business are $35 and students can attend the event for free at - bit.ly/2JqjGJD. Dr. Pamplin believes in the importance of recognizing successful local business people and honoring them for the work they do. These local business executives are an inspiration to anyone seeking to be successful in business. The Pamplin Media Group is proud to help honor their accomplishments by sharing their stories.